This large pouch has a dual functionality. Crafted from VN leather in the signature intrecciato weave, it features an external slot fitted with a removable card case in a contrasting colour. 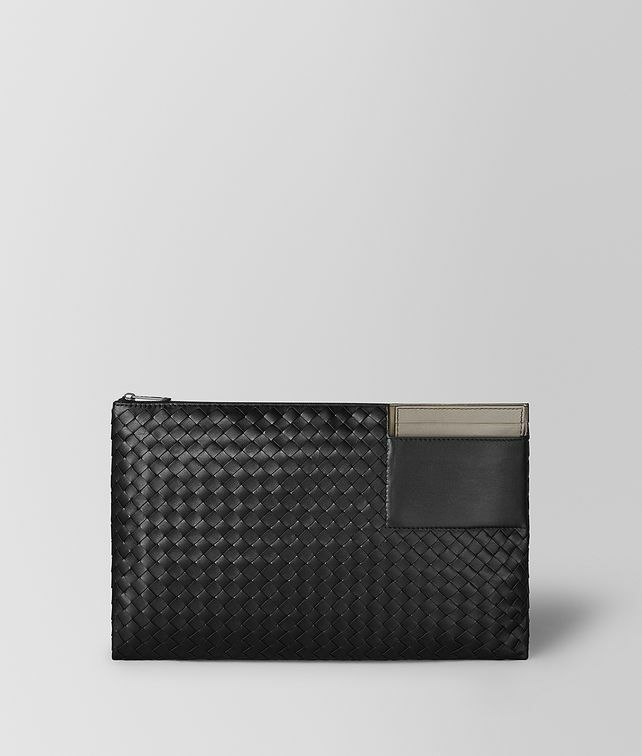 Perfectly sized to fit business documents and other daily essentials, the pouch is lined in cotton and finished with black seams and hand-painted edges. Height: 19.5 cm | 7.6"
Width: 29.5 cm | 11.6"
Width: 1 cm | 0.4"